It’s that time of year where we are again thinking about the resources we are going to use for the coming year. Each year I start with hope and anticipation for a great year. I imagine our carefully crafted days and the wonderful things we will learn and do in each day. The last few years have been tough with what felt like either a move or a baby each year. 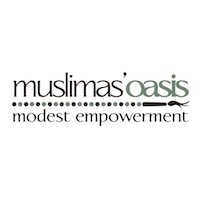 In sha Allah this year we will just be coasting with no big life changes, Allah alim (God knows best). With that said, I’m particularly excited for this year because with Kira starting community college to complete her last two years of high school, I can focus more on the little ones. Aamina turns 5 this year, so this is the last year of preschool for her. Next year is Kindergarten, in sha Allah! Since I started homeschooling Kira in 4th grade, this is all new territory for me. The longer I homeschool, the more I lean toward unschooling, especially in the younger years. Children do not need to learn how to sit and listen for extended periods of time. Let them play, let them explore, and let them get bored so they can actually use that vivid imagination of theirs. I do list curriculum, but to clarify, we use it much like the book lists I’ve included. I have them available, and we take them out as the mood suits us. Since we use things at our leisure, it also means I keep more on hand for us to choose from. This curriculum list looks long, but it’s just so we have a couple options in each area. I’ve spent a lot of effort to make school seem fun, and never forced. I know part of this is Aamina’s personality too, but I believe this approach has given way to her requesting school work on her own. In this way, we do not have formal lessons, but I use our curriculum as a measured way to make sure I’m presenting information in an orderly fashion. Before Five in a Row – This continues to be our core, using everyday story books and digging deeper using the suggestions in the teacher manual. 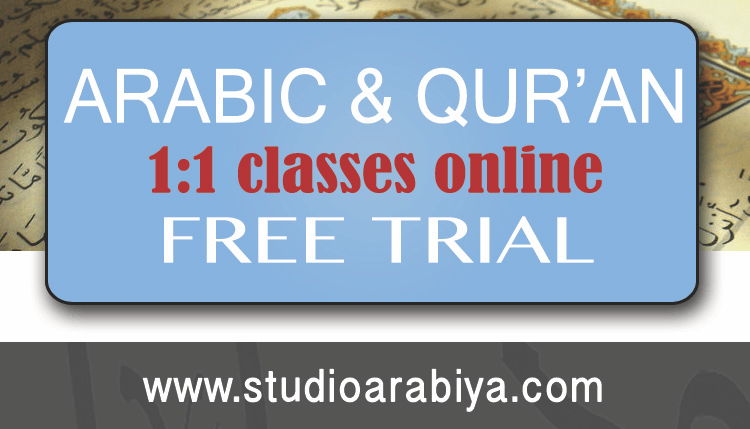 Slowly but surely, I’ve been publishing Islamic adaptations to the Bible lessons, so keep your eye out for those! You purchase all the manipulatives in one set, for all the grade levels. It’s a one time fee, and likely in the end I save in shipping. Assuming we continue with Right Start Math for the upcoming elementary years, it won’t go to waste. Right Start Math uses a wide variety of techniques from songs, games, hands-on activities, and worksheets. Since all three learning types (auditory, visual, and kinestetic) are covered, I feel all three of my young kids will be able to use it and again, it won’t go to waste. Three kids and up to five levels? I can definitely get my use out of the materials! Dot to Dot Book – I got the combined volume from Usborne Books to aid in Aamina learning both find motor skills in connecting the dots, and with counting above 12. This is a fun way to introduce math concepts and order, plus something easy to pick up and bring with when we’re on the go. Jolly Phonics – We are currently on Book 3 of the Jolly Phonics Activity Books, and we will continue on with the set. Aamina loves these books and it’s the #1 thing she asks to do when she requests to do schoolwork. You can see my full review of Jolly Phonics, too. 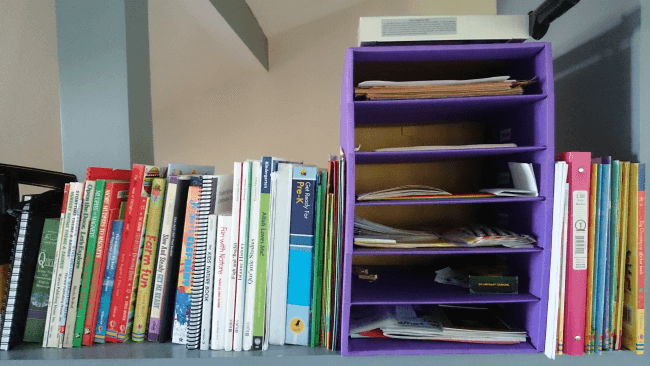 Bob Books – I fell out of love with Bob Books for a period of time, but Aamina has shown a new interest in them, probably because she can read them alone, so we’ve started back with them. I’ve even purchased Collection 2 in anticipation of her continuing on. My Very First Reading Collection – I prefer these Usborne books over the Bob Books because they are more interesting and colorful. We switch between Bob Books and this Usborne set when she feels like reading aloud. 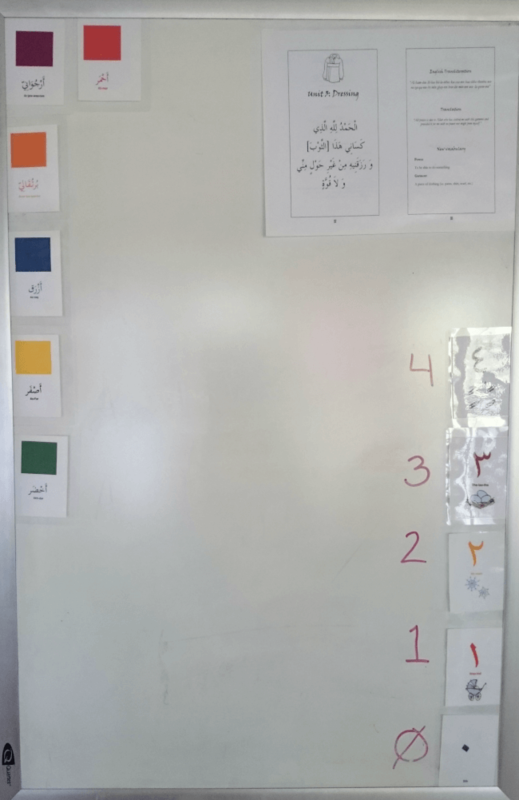 Ad-Duha Level ALP – We are ever so slowly moving through Level ALP, but I can tell you that Aamina is getting pretty solid in learning her beginning colors and numbers in Arabic! We keep the flashcards on a whiteboard in the dining room (used as the school room right now) so we can talk about them whenever we wish. Book list – I want Islamic books in our regular rotation, and these are our favorites. I make sure to grab these books again and again when we are casually reading together. Make sure you get the book from Timas Publishing, not Goodword. The grammar and storyline is far superior. Stories of the Prophets – These stories are simple enough for Aamina, with extension activities for older kids. Learning Allah’s Names – I’ve always felt like teaching Allah’s names is a heavy task, but these books make it light and fun. I love it! I Know My Religion – Another gem from Timas Publishing (can you tell I’m a fan?) that talks about different areas of Islam in cute stories. Okay, I’ve been totally slacking in science this last year because I just don’t want to get the materials out. Until Salihah is a bit older, I see myself resorting to just using books and talking about what’s around us, which when I get over the mom guilt of not doing Pinterest-worthy experiments, it’s not a bad system. Magic School Bus – My kids love these books and ask for them again and again. Truly a gem, and easy to find! Peterson First Guides – I’m collecting these and keeping them at our fingertips so we can find out more about what we observe in the world around us. Nature Study Printable Cards and Books – We’ve used this for a few years and keep coming back to it. It’s a great start for little ones. Amatullah (2 years) is ready to use the Eye Spy cards, even! We do most of our bookwork while Amatullah is napping because it’s just easier for me. In sha Allah this year I want to start learning how to manage the two of them together, if possible. I use the following resources when Amatullah is interested, and to introduce “doing school” when Aamina is working also. 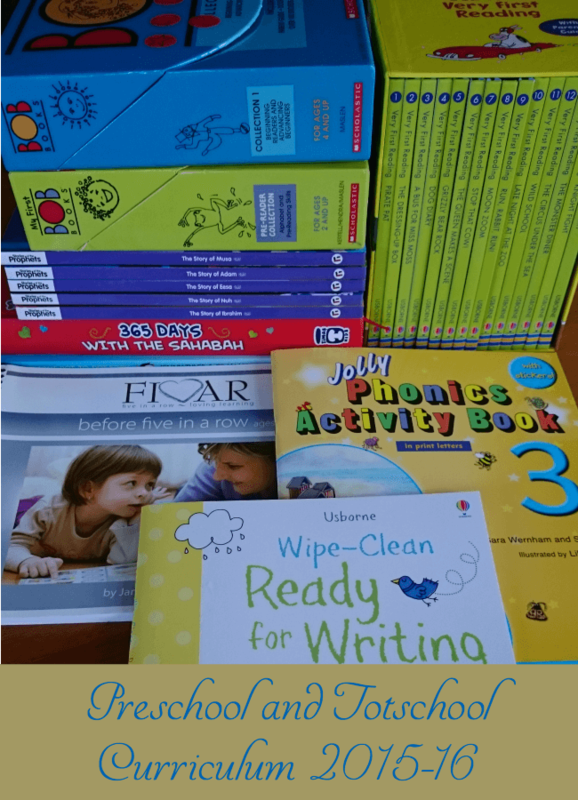 Wipe clean books – Instead of buying a new workbook for each kid, I invested in this wipe-clean set that covers everything from drawing lines (pre-writing skills) to the alphabet and numbers. Since it’s reusable, I can use them for all three little kids! Do-a-dot printables – I love these printable sets, and toddlers and preschoolers love do-a-dot markers. Win-win! For now, I give minimal instruction and let her play with it, but soon we’ll start with some of the simple pages and request she fill in the dots with the marker to work on some basic motor skills. Pre-Reader Bob Books – Of course when Aamina reads her Bob Books, Amatullah doesn’t want to be left behind, so I bring out her box and we read one of the books. At first when I started this collection with Aamina, I didn’t get how it would teach letters, but now I’m really just looking to introduce the letters. We don’t need mastery right now. And that’s it! As with all school years, our resources, routines, and expectations will change a bit, but we have the resources available to have a successful, fun, and interesting year, in sha Allah. Wa iyyaka! 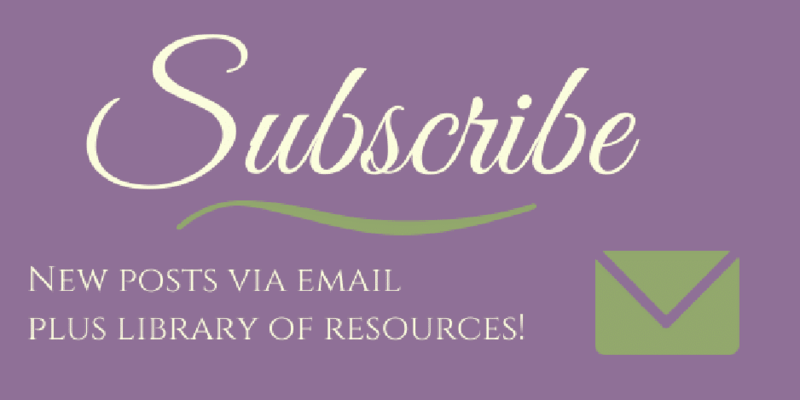 I love curriculum posts because it opens up my eyes to new resources, too! I’m glad you found it helpful!